I'm inspired by the current trends in home decor, especially those which feel very casual, harmonious, quiet, neutral, coastal and simple while also being stylish and a bit classy. 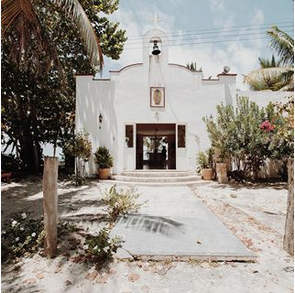 Think Tulum style - see the Instagram of @passion_shake currently, a glimpse is shown below. I found the rest of these images (below) today while shopping online at H&M, who have two fabulous collections out at the moment - Wild Wood and Natural Beauty - both really demonstrate a current natural home trend movement in motion. I love how woven things are big at the moment too - like rattan chairs, baskets and the trim on mirrors. I also enjoy seeing lots of natural wood left unfinished, in-the-raw combined with touches of stone and chalky or smooth concrete. I was just in Denmark on the coast taking a family holiday. I saw lots of driftwood, whitewashed stones, shells, dried grass from the sea, blue mussels and many other fabulous, natural objects that really left me inspired (and now I long even more for my previous beach life). I once lived directly at the beach - a few times, it was in my backyard growing up. I was on the coast from the time I was little all through my childhood and teen years. In fact, I didn't move away from the sea until I was 31, and even then, I was only 45 minutes away from coastal New England which was gorgeous. Then, moving to Germany in 2009, with a beach drive at least 2-3 hours away, wow - it's been a struggle for me - I won't lie! I often feel like part of my life was taken away. And with a young boy now who also loves the sea like I do, I feel more torn that I'm so far from it because I spent my childhood combing the beach for shells and rocks with my mother - and I want so badly to share this with him regularly too. I'm lucky if I get to the coast twice a year for a day trip. However, I have changed my mind about my sea visits and their regularity going forward. I'm either going to relocate further north in Germany to Hamburg or around that area OR I will buy a small home in southern Denmark or northern Germany where we can vacation whenever we wish - and rent it out the rest of the year. I really need my beach life back again. Life is too short to not have what we really want, right? Ah yes, back to interiors trends. These images and products really show what's trending but even more, what I love currently because natural and wild aren't the only trends out there - yet these are what I keep going back to. Each year, there is always a natural trend for interiors and sometimes, it's hard to find the difference between this natural trend and the previous one. I would say for this year, the look is more refined, a stronger edit, not SO casual, a bit upscale even and definitely has a wild side - think Australian coast, Southern Indonesia, South Africa, Tulum... If anything, the current trend feels like the wild wind-swept coastlines in often exotic destinations has met up with classic, Scandinavian simplicity and this look is the result. Dried foraged flowers, weeds, herbs, pampas grass, anything dead is in! But for good reason, dried things are gorgeous when used sparingly in a minimalist arrangement - a few stalks of pampas in a vase, for instance, not a cramped bunch. See this post, Why Dried Flowers Aren't Just For Grandma, for total dried flower inspo. What do you think? Does this look work for you?